Enjoy the quiet lounge, observation deck and a sunny pool area where you might be visited by a family of warthog, a shy red duiker or a pair of purple-crested loeries. 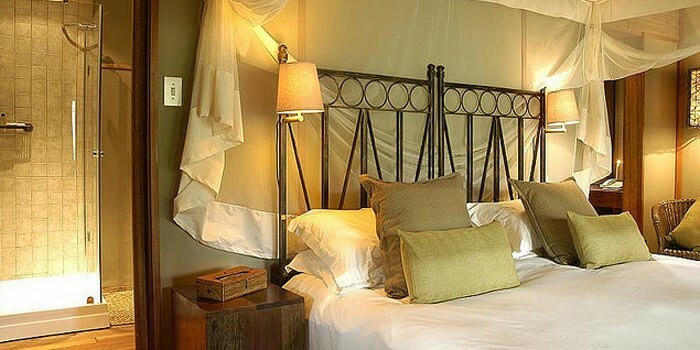 300 km North of Durban situated deep in a fever tree forest and close to the very popular Hluhluwe Game Park. Offers a restaurant, lounge, viewing deck & bar. Leisure facilities include a swimming pool, game drives & walking trails*. *Various charges payable locally. 24 rooms with en suite baths, fans for cooling the rooms, tea/coffee making facilities & private decks. Approximately 35 minutes from Richards Bay airport.